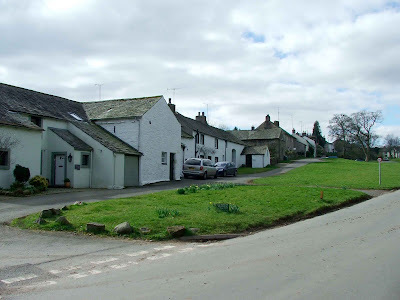 Situated about two miles West of the A6 and less than quarter of a mile from Lowther Castle, the picturesque village of Askham is built around a village green once used for the safe corralling of cattle and other livestock. The village is one of three in the area regarded as defensible, and consists of a central green, surrounded by an almost unbroken ring of houses. Although the green has long since been developed and buildings have been erected within the confines of the green, the basic shape that defines this type of village can still be seen here. Many of the original buildings have long since been replaced or demolished entirely, but the basic idea of the ring of houses and buildings can still be seen. 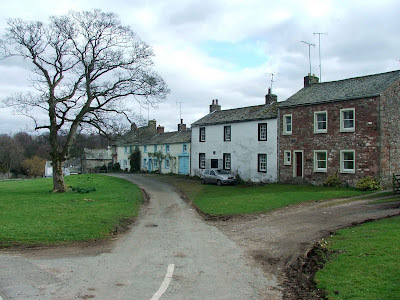 The village is much the same in shape and form as nearby Milburn and Temple Sowerby. The manor of Askham (in the past named Ascum) passed from the Helbeck and Swinburns over time, and eventually came to be held by the Sandford family. The Sandford family held the manor from the 1375 until 1724, when William Sandford died with no male heir. The manor was sold to the Lowthers thereafter, who's family seat was the nearby Lowther Castle. Askham Hall was built on a small prominence overlooking the village, originally by Robert de Swinburn, but whatever building was here, was burnt down by the Scots in 1325. There are no records stating what damage was done to the village. The Sandford family built the current hall in around 1375, and it's believed that the layout of the village also came into being at about this time, probably to defend valuable live stock against raids from Scots and English alike.